Instead of seeking out the marketing Holy Grail, brands constantly search for their "Oreo moment." They want to instantly soar to viral fame with a cool, yet simple idea. Most of the time these efforts are ignored, but a few marketing tactics stand out. 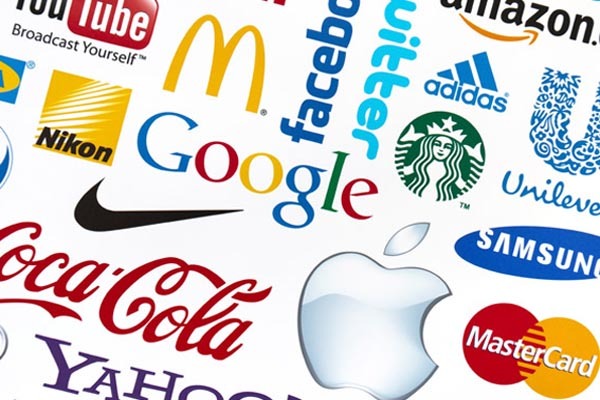 Here are a few awesome examples of branding and lessons to learn from them. It's okay to be weird, that's what Denny's has learned as it develops its brand voice on Tumblr. While the breakfast restaurant still uses other traditional marketing tactics – including TV ads targeting moms and highlighting low-calorie omelets — there is nothing traditional about their Tumblr presence. Tumblr is dominated by the 21 and younger crowd. This is a crowd that doesn't care about calories, but does care about bacon. They're not logging onto social media to hear a sales pitch; they want to be entertained. Denny's has answered in kind by joking with fans who ask bizarre questions about syrup and creating weird gifs with flying bacon. Each post gets thousands of likes and reblogs. The Lesson: Know the demographics of each ad platform and tailor accordingly, don't try to cram the same message across all channels. Speaking of Tumblr, earlier this year the social network gained major media attention for the updates to its terms of service. What made them so unique is that they were actually interesting and funny. No one ever reads the terms of service, South Park even made a whole episode about that, but writing the message in a funny way drove thousands of Tumblr users to read it. Tumblr wrote out the legal requirements and then broke them down in easy to understand ways – you can read them here. This was a smart move for two reasons. First, the media attention served as a marketing tool that attracted new users, and second, Tumblr showcased how well it knew its customers and can tailor content to their needs. It was simple, but brilliant. The Lesson: Think outside the box. Something that's usually boring can be interesting and used as a marketing tool. Missed connections have been around for decades, and placing these blurbs in the paper, along with Lonely Hearts ads, are an iconic part of romance plots. The modern day missed connections can be found via Craigslist and on social media, and have become a bit raunchier. I Wish I Said Hello has been working to change that. According to the StickerYou blog, I Wish I Said Hello reads missed connections in Manhattan and then creates stickers with the posting and images. The goal isn't necessarily to bring people together, but rather to celebrate romance — and street art — as whole. StickerYou can attest that stickers are a fast and effective means of creating buzz during guerrilla marketing. Who doesn't love stickers? The Lesson: Guerrilla marketing isn't dead. Returning to simpler times of pasting stickers on the street is still effective. Major companies can usually afford to spend thousands of dollars on market research, but consumers rarely see the fruits of this labor. Few companies actually bother to tailor down interests to target location, demographics, and financial standing. This is where Verizon tried something new. The target market was young millennials who had multiple roommates and lived in apartment complexes in the Washington D.C. area. Instead of just targeting apartment complexes — which the company decided it had already covered – Verizon went to local gastropubs, coffee shops, and local hangouts where their target market could be found and created print ads for the doors. Verizon used Foursquare to create check-in deals with more than 50 bars and restaurants in the area to use its demographic's adoption of social media and love of free stuff. Verizon went so local, they even used sidewalk chalk to create art and ads for their bundles. All of these smaller tactics proved more valuable than a regular set of TV ads. The Lesson: Hyper-niche targeting can go farther than carpet-bombing everyone. Oftentimes, the more research your do about your customers, the better you can meet their needs and your campaign will be received better because of it.